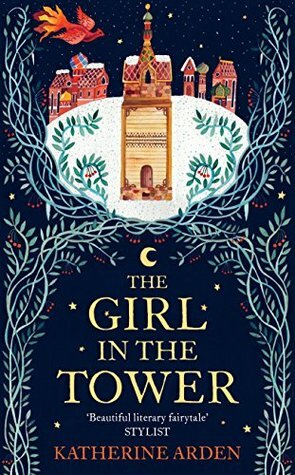 When I requested The Girl in the Tower from NetGalley, I somehow missed that it was the second in a series, and I haven't read the first book. I therefore approached it with some trepidation, worried that I wouldn't be able to follow the story. Luckily, that wasn't a problem. While it would have added value to know some of the past events to which the characters referred, it was still possible to enjoy this book without knowing them. In fact, I completely fell in love with it. (Okay, I confess, I fell in love with Morozko). The world building was great, and the blending of Russian folklore into the tale perfectly handled. I loved all the characters and became invested in their stories right from the start. This is definitely a book I'd like to own, and I will certainly go back and read the first book now too. I am keen to see how it will all end in book three! In conclusion, this is a beautiful, captivating tale for lovers of folklore-inspired fantasy and one of my top reads for 2017.